The Congress party's first list of candidates in Lok Sabha elections, though tiny and mostly predictable, conveys three things: Sonia Gandhi is here to remain in the game; Priyanka Gandhi's electoral debut may be another election away; and that despite Samajwadi Party extending an olive branch to the party after giving them a cold shoulder post alliance with the BSP, the Congress is going full throttle in Uttar Pradesh. At least in the first list, the party has refrained from introducing too many new faces and reposed faith in party old guard, even though some of them didn't win the last election. 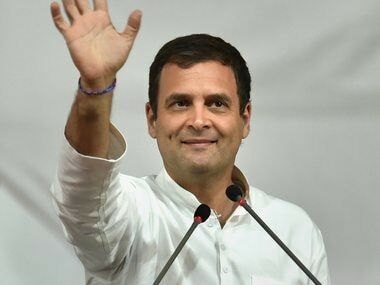 The party's first list of 15 candidates released Thursday, reveals that the party will be fielding UPA chairperson Sonia Gandhi from Rae Bareli and party president Rahul Gandhi from Amethi. The list, finalised at a meeting of the party's central election committee chaired by Rahul Gandhi, named 11 candidates from Uttar Pradesh and four from Gujarat. Here's a look at the A-listers named on seats where the party had clear candidates. The UPA chairperson and the longest serving Congress president, Sonia does not need profiling to be on the Congress' A-lister seats. Her name appearing against Rae Bareli seat is a Congress tradition in its own right as the Congress matriarch is a sitting MP from the seat from four consecutive terms. However, what is remarkable this year were speculations that Sonia, now 72, may have decided to pass on the baton to daughter Priyanka, who was recently appointed to oversee the party's campaigning in Uttar Pradesh East. Sonia's nomination is a clear attempt to put an end to speculations that she is too sick, or too old to carry on with politics. 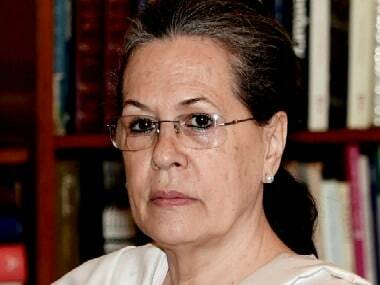 By expressing her candidature for the upcoming elections, Sonia has sent a message that she firmly remains in the game of politics. 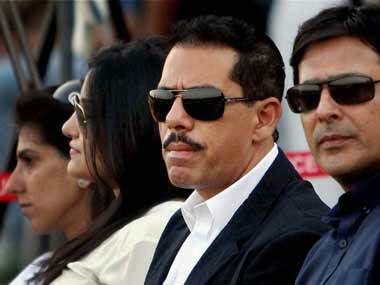 The first list, however, does not include Priyanka Gandhi, who had recently announced her political debut. She was made the Congress general secretary in charge of eastern Uttar Pradesh. Congress president Rahul Gandhi will stick to his traditional Lok Sabha seat Amethi, a Nehru-Gandhi family's bastion. A seat previously contested by both Sonia and Rajiv Gandhi, Amethi has been loyally electing Rahul since the past three terms. However, the victory margin became dangerously narrow in 2014 elections when the BJP fielded Smriti Irani against Rahul in the election. 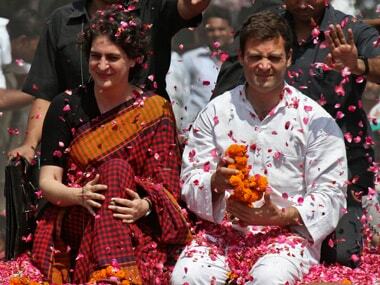 The BJP central minister is expected to contest polls against Rahul this year as well. The Congress party has chosen to repose faith in old workhorse Salman Khurshid in the Farrukhabad seat in Uttar Pradesh. Khurshid was elected from the seat, also his native place, in 2009 elections but came a distant fourth in 2014 securing only 9.84 percent votes. The seat is currently held by BJP's Mukesh Rajput. Prior to this he was also elected from the same constituency in 1991. He has served as the Union Deputy Minister of Commerce in June 1991, and later became the Union Minister of State for External Affairs between January 1993 and June 1996. He started his political career in 1981 as an Officer on Special Duty in the Prime Minister's Office (PMO) under the prime ministership of Indira Gandhi. Kunwar Ratanjit Pratap Narain Singh, popularly known as Raja Saheb of Padrauna will contest from his traditional seat Kushinagar. Since it came into existence in 2008, the Lok Sabha constituency has seen two elections. Singh was elected as an MP in the 2009 elections, however, he lost the polls to BJP's Rajesh Pandey in the 2014 elections for the 16th Lok Sabha. Singh has served as a junior minister in the Union Cabinet for Home ministry. He is also the state incharge of Jharkhand. Nirmal Khatri will contest from Faizabad seat, under which comes the high profile town of Ayodhya. Khatri has represented the Ayodhya (Faizabad) constituency twice before in the 15th and the 8th Lok Sabha. However, he took a beating in the 2014 elections, coming fourth after BJP, SP and BSP and losing out his seat to BJP's Lallu Singh. A Mayawati loyalist at the start of his career, Brij Lal Khabri switched over to Congress in 2016 making some grave allegations of election malpractices against BSP supremo. He has been fielded from his traditional Jalaun seat. He last won an election from the seat on 1999, but came second after BJP's Bhanu Pratap Singh Verma in 2014, while contesting on a BSP ticket. Also a former member of the BSP, Rajaram Pal has been once again fielded from Akbarpur constituency. He won the seat in the 15th Lok Sabha on a Congress ticket in 2009 but lost out in 2014. Pal switched over to the Congress just before 2009 elections, after he was expelled from the Parliament and the BSP, in the wake of cash-for-question scam. He was caught on a sting tape, where he was allegedly seen accepting bribes of Rs. 35,000 for fielding questions in the Parliament. Pal had also won from the region in 2004 Lok Sabha election on a BSP ticket, when the seat fell under the Bilhaur Lok Sabha constituency. 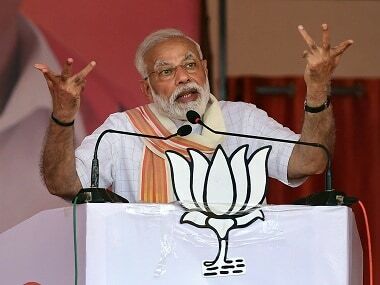 Among 11 candidates from Uttar Pradesh is controversial leader Imran Masood who was arrested in 2014 for allegedly threatening to chop Narendra Modi into pieces. He was Congress' Lok Sabha candidate from Saharanpur, the very seat from where he has been fielded again. He lost the 2014 election to BJP's Raghav Lakhanpal but managed to come a close second on a Congress ticket. He was even nominated in the 2016 Uttar Pradesh Assembly elections from Nakur seat, which he lost. Imran Masood is the nephew of senior Samajwadi Party leader Rasheed Masood. A report in Hindustan Times said that Imran's candidature was confirmed after he managed to mend ties with his estranged uncle and a political heavyweight in the region, Rasheed. Five-time Congress MP from Saharanpur, Rasheed has also been a member of the Rajya Sabha. In 2012, rift over Assembly elections tickets led to Imran parting ways with Rasheed. A five time MP from Badaun, Saleem Iqbal Shervani has been fielded from the same seat by Congress. A former member of the Samajwadi Party, Saleem had last won the election in 2004 on a SP ticket. Shervani had become first-time MP on a Congress ticket in 1984. However, after the demolition of Babari temple, who switched over to Samajwadi Party accusing Congress of complicity. He became an MP for four consecutive terms however, after then SP chief Mulayam Singh Yadav fielded his nephew Dharmendra Yadav from the seat in 2009, he returned to Congress. When he contested the 2014 election on a Congress ticket from Aonla he lost badly and came fourth. This time he had hinted that he will ask the Congress leadership to field him from his traditional seat Badaun, The Times of India reported. And looks like there were no opposers to his claim as the Congress has mostly stuck to most non-controversial seats in the first list to avoid any infighting over tickets. The Congress has fielded Jitin Prasad from Dhaurahra in Uttar Pradesh, which was formed after the 2008 delimitation of parliamentary constituencies. Prasad won the seat on a Congress ticket in 2009 but lost out to BJP's Rekha Verma in 2014. Prasad came fourth in the result tally after 2014 polls. He won his first election in 2004 from his hometown constituency of Shahjahanpur. He was the Minister of State for Steel and was one of the youngest minister in the UPA 1 Cabinet (April 2008). In 2009, he fought and won the election from Dhaurara, as his home bastion Shahjahanpur came under the delimitation process. However, he subsequently lost the 2014 Lok Sabha poll from the seat and the Assembly election in 2017. The Congress has fielded Annu Tandon from the Unnao seat. She was a former MP from the seat in 2009. However, she lost out to BJP's Sakshi Maharaj in 2014 elections, barely retaining her deposits at 16 percent votes. Senior Congress leader Bharatsinh Solanki has been once again fielded from the Anand seat in Gujarat. He had won the Lok Sabha elections from Anand in 2004 and 2009. But he lost to Dilipbhai Patel of the BJP in 2014 elections. The former Congress chief of the Gujarat unit, Solanki is the son of the state's former cheif minister Madhavrao Solanki. He was the minister of state for drinking water and sanitation (independent charge) till May 2014 in the UPA II government. He also served as state minister for power. He has also served as Secretary at All India Congress Committee from 2004 to 2006. He was made the state party president in December 2015. Congress had improved its tally to 77 in 2017 Gujarat elections from 60 in the 2012 elections under Solanki's leadership. He resigned from the post in March 2018 after the party's defeat in the Assembly polls in December 2017. Raju Parmar, another senior face from the Gujarat Congress, will contest the elections from Ahmedabad West seat, a seat reserved for Scheduled Caste Category. Parmar, hailing from Rohit sub-caste, was also a Rajya Sabha member from 1988 to 2006, serving for three terms. He has held several portfolios as Member of Parliament. He has served as member of the National Commission for Scheduled Caste under the UPA government. He faces a tough fight as he is likely to be pitched against Kirit Solanki who has held the seat for the last two terms. Prashant Patel, a patidar leader, has been picked to contest from Vadodara seat. Many would argue he is a little-known face amid the rank and file of Congress party to have been included in the list of seats considered A-Listers. But Patel has been working at the grassroots in the city for a long time. A former student leader he has served as Vadodara city president since December 2015. He was appointed to the post after the party's shoddy performance in the local body polls. Ranjit Rathwa has been nominated from the Chhota Udepur seat. He is the son of senior Congress leader Mohansinh Rathwa, the sitting MLA from Chhota Udepur. Rathwa has been active in the state's politics for a few years now. He was one of the only four Congress candidates that won seats on the Baroda District Co-operative Milk Producers Union Limited in 2015. He has also served as president of Vadodara district panchayat and his father too has an exceptional record in elections in state. A sitting MLA Mohansinh Rathwa has contested 11 assembly elections since 1972 and won 10 of them barring the 2002 election. In fielding Rathwa, the Congress party is hoping that the youth leader will benefit from the wide support base his father commands in the city.